Sydney Musai Walter is a Sōtō Zen priest and member of the White Plum Asanga, practicing in the lineage of the late Taizan Maezumi-roshi. He is a Dharma heir of Alfred Jitsudo Ancheta (himself one of Maezumi’s twelve successors). 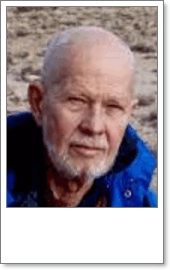 He currently serves as co-teacher at Prajna Zendo in New Mexico with one of his successor, Daishin Brighton Sensei. Musai-roshi began his Zen training in California with Shunryu Suzuki-roshi in 1970 and later became a student of Maezumi-roshi. In addition to his Zen practice, Musai-roshi also studied with Chogyam Trungpa Rinpoche. In 2004 Musai-roshi received denkai (priest ordination) from Dennis Genpo Merzel, with whom he studied the Big Mind™ process—becoming an authorized Big Mind™ instructor. On January 23, 2008 Musai received inka from Genpo-roshi at Genpo’s Mahasangha gathering, on the island of Ameland, off the coast of The Netherlands. Inka is a feature of the White Plum Asanga’s Rinzai lineage—considered to be “the final seal of approval.” Musai-roshi has given Dharma transmission to two of his students—Daishin Brighton, Sensei and James Kando Green, Sensei.